The Montessori fraction insets begin in the primary 3 to 6 classroom as a sensorial foundation for fractions in the 6 to 9 classroom including addition, subtraction, multiplication, and division of fractions. 1) Montessori fraction lessons (using the Montessori fraction insets) with pictures, very extensive! From Info Montessori blog. 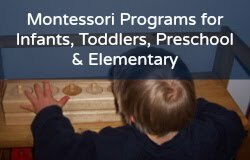 2) Article of interest "Sample Article for Fractions Montessori Lesson for Teaching Fractions" (scroll down) from My Montessori House blog. Go here for a free download of the fraction insets in PDF from Montessori Mom blog, however, printed fraction insets are not ideal since they can tear, rip, or curl. More fraction ideas at MM blog. This wonderful YouTube clip shows children in a Montessori classroom interacting with fraction insets, fraction blocks, and more! You can also look at Montessori fraction Google images. In Montessori on a Limited Budget, there is a Fraction Tubes activity (as well as "variations and parallel activities") using four cardboard tubes, each a different color, one whole (grey), two halves (green), three thirds (yellow), four fourths (red). Page 133-134. They also recommend making fraction circles out of pizza round cardboard pieces and covering them with contact paper. In my Montessori 3 to 6 training, the very first fraction lesson was given with an apple! Try introducing fractions, therefore, with food: having a sandwich, two halves make a whole; and 1/8 of a pizza, eight pieces or eight eighths make a whole! 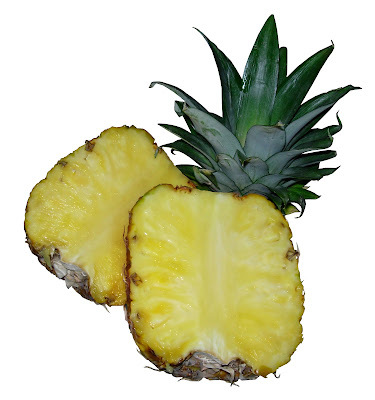 Use also pancakes, muffins, oranges, pineapple, and toast! Here are two non-Montessori fractions made of magnets and foam on Amazon.com: $ Magnet Fraction Circles; $$ Foam Magnet FC. And here they are in wood $$$ from Montessori Outlet.com. Want more Montessori math? Go here! 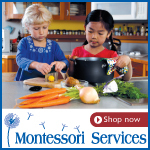 Want affordable online Montessori and homeschool programs? Go here!